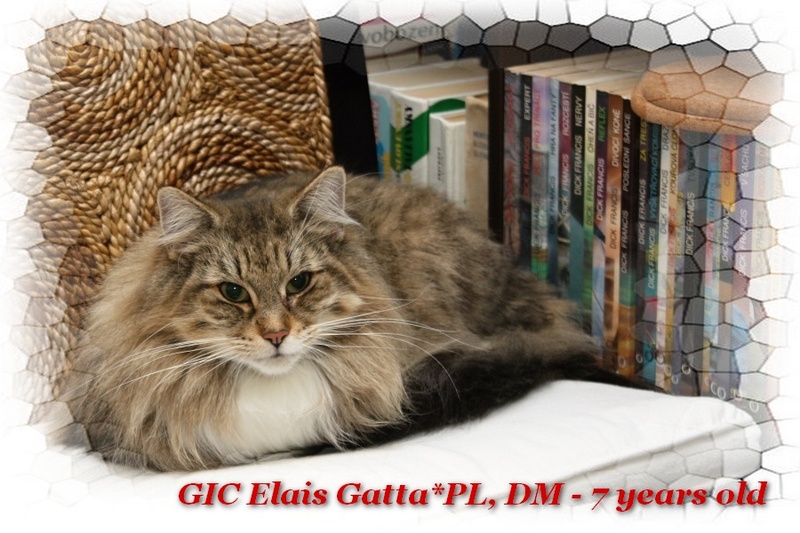 10.12.2012 - Elais Gatta*PL celebrate her 7 years today! Happy Birthday Eliška! Dear Elais we wish you all the best to your birthday, keep your healt status as you have now and we are happy to enjoy a lot of nice moments in the future! CONGRATULATIONS and BIG THANKS for super presentation of Enrico! The screening of the genetical diseases are very important for us, we are so happy from results. 23.11.2012 - Happy Birthday! 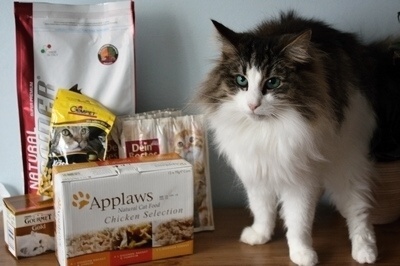 Litter "A" is 5 years old today. 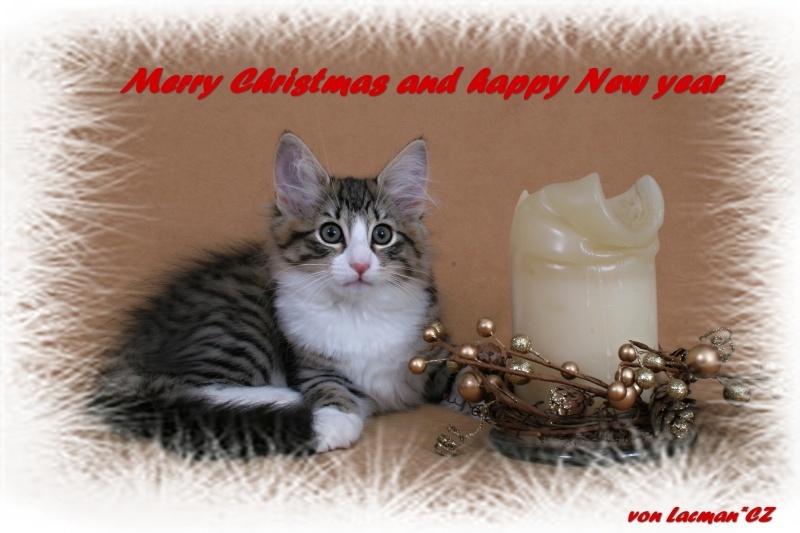 6.11.2012 - Our kittens Ethel, Florance and Fabio are still available. More in part "Kittens"
All reserved kittens are already in hew homes. Good luck to all! We like to go to the better way of breeding and the whole-life education is very important for us. 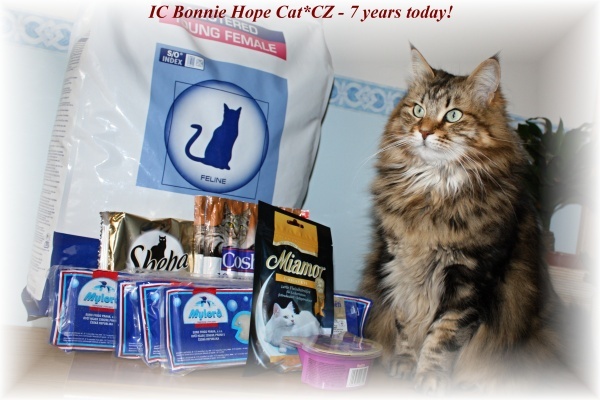 We already done a Pawpeds Academy kurs G1 last week and we are a first cattery from Czech republic, who did this prestige course. I hope a lot of breeders will folow us and start to educate this way. 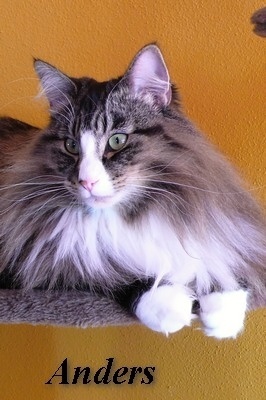 30.10.2012 - Update of the kitten page is ready with new pictures of kittens. That is a last photoshooting of whole litters. They will move to the new homes this weekend. But we still have a kitten available: Ethel, Florance, Elisabeth and Fabio. Ready move to the new home. 29.9.2012 - Some of our kittens did know their new owners after this weekend. But some of them are still looking for a sweet hands to cuddle and feet to seated them. We have a kittens! Charlotte and Elais are already mothers! More infos are in "Kittens"
14.8.2012 - We like to introduce you our kittens on their litter pages. I will be happy to share new pictures of them every Tuesday. Enjoy it! 8.8.2012 - Happy Birthday! 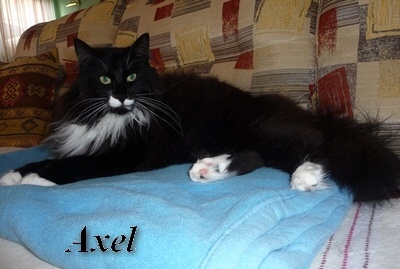 Our litter "B" is already 4 years old! 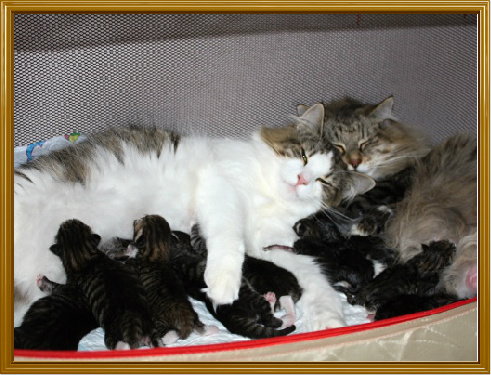 4.8.2012 - We have a kittens! Charlotte and Elais are already mothers! 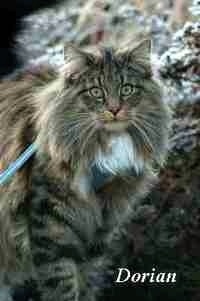 3.7.2012 - We bring exciting news to all admirers of Norwegian forest cats. 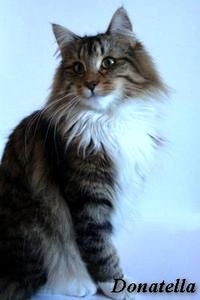 Our breeding plans are shaping up and you can look forward, together with us, to kittens from Elais and Charlotte, which are supposed to be born by the beginning of August. Visit the “Plans” section where you can find more information. 1.7.2012 - Elais is grand-grandmother again! av Littenfoss*A have 5 newborns! 29.6.2012 - Happy Birthday! 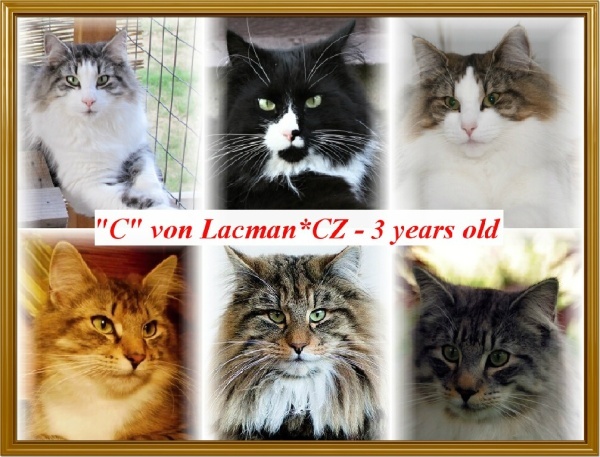 - our litter "C" have they 3rd Birthday today! 7.5.2012 - Elais is grandmother again....but also finaly a grand-grandmother! We are pround, congratulate and wish only all the best to them.......!!!!!!!! 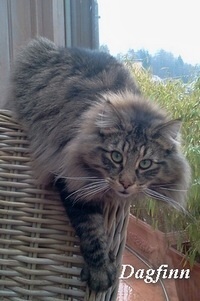 2.4.2012 - Our breeding females have been USG controled for a PKD and CIN with "negative" results.. We have updated some informations about our cats, plans and put some more pictures. 20.2.2012 - Happy Birthday! - our litter "D" have they 1st Birthday today!